iPhone and iPod touch software, games, toys, calculators and web applications by Kudit: Check your typing speed on your new iPhone! Check your typing speed on your new iPhone! 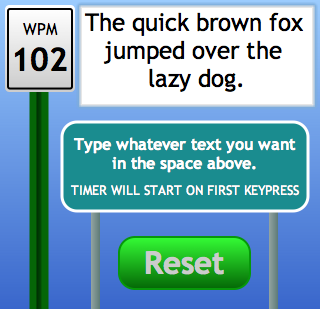 Kudit is proud to announce the Words per Minute calculator. Calculates the words per minute of anything you type; type your thoughts/words/ideas just as you would in an SMS or email. Prove to your friends that the iPhone's touch-screen is a perfectly valid input device by showing exactly how fast you can type!